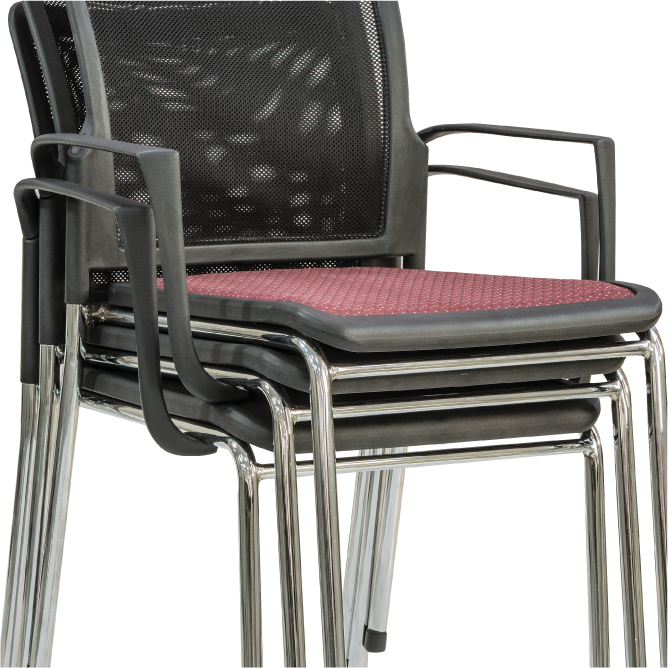 1.- Versatile meeting chairs offering maximum comfort. 2.- The ergonomic back curve of the backrest and seat provide extreme comfort comparable to a task chair. 3.- The new mesh material features the woven fabric construction. It provides the most breathable and stable support. 4.-One kind of stylish stacking chair could be stackable up to 5 chairs high. 5.- The seats curves support a healthy c-curve of the spine and distribute the weight of the legs that cradles the body in supreme comfort. 6.-The new thin cushion features the multiple density construction. It ensures excellent cushioning in the seating face for soft and comfortable seats. 7.- Upholstered type chair provides extra comfort. 8.-Brings lightness and beauty to all office spaces—conference rooms / Brainstorming room / training sessions/ meeting room / rooms.